Your primary care physician is one of the most important people you’ll meet in your journey toward better health. 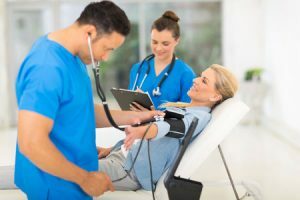 They are often your first contact, and your ongoing representative on a team of health care providers who are working together to help you reach your full health potential. seek health care services. She or he will begin to evaluate your overall health, discuss your healthcare goals, and begin to evaluate any undiagnosed symptoms. She or he will then refer you, as appropriate, to more specialized care and monitor your ongoing care and treatment as you work together with your healthcare team to improve your overall health. Our primary care physicians Charleston, SC are dedicated to the ongoing health of the community. Like all primary care physicians, our doctors work with a variety of medical professionals to provide first contact and ongoing healthcare in a variety of situations, from basic pediatric care for our youngest patients to elder care for our seniors. Every stage of life requires the services of a primary care physician. Primary care Daniel Island to residents is only a phone call away. Our staff is here to set you up with an appointment to meet with one of our physicians and begin your journey to better overall health. Whether you’re new to the area, or seeking care from a new doctor, we’re here for you. Call today to set up a consultation and meet with your new primary care provider, so that you can get started on your journey toward better health. James Island primary care is provided at our conveniently located facility. We offer flexible appointment times and have a team that’s ready to join you in working toward better health. Call for your appointment today.